NVIDIA and Intel just released their respective PR announcements a bit ago, but after much rumor mongering it’s official: Intel and NVIDIA are the latest duo to bury the hatchet. This comes on the heels of 3 other major Intel actions in the past two years: the EU fining Intel (which is still under appeal), Intel settling with AMD (affirming GloFo as a legal venture), and Intel settling with the United Stated Federal Trade Commission. With the exception of the EU fine that is still under appeal, this is the final outstanding major legal battle for Intel over their actions of the first decade of the 21st century. Generally speaking someone is always suing Intel – or Intel is always suing someone else – but as far as normality is concerned this is a return to normal for Intel: they’ve now settled with every significant government and corporate entity and are no longer living under a cloud of allegations from a number of parties. So what are NVIDIA and Intel burying the hatchet over? A lot of this has to do with the same matters we saw in the FTC suit, as part of the FTC’s case was built on NVIDIA’s complaints. As you may recall the FTC didn’t get everything they wanted, and this suit looks to resolve those outstanding issues along with settling NVIDIA’s chipset allegations, and providing NVIDIA with a sizable 1.5bil compensation package for their troubles. The state of the United States patent system is such that it’s difficult if not impossible to design and build a high-tech product without infringing on someone’s patent. Snark about patent trolls aside, there are often only a handful of good methods to implement a given technology, and all of those methods are patented by someone. For these reasons there are a number of broad cross-licensing agreements in the GPU and CPU markets so that all the major manufacturers can design and build products without running afoul of another’s patent portfolio. AMD and Intel cross-license, AMD and NVIDIA cross-license, Intel and VIA cross-license, etc. Most of these cross-licensing agreements have the participants as peers, with each side getting access to the patents they need to make their agreements equal in value. In 2004 Intel and NVIDIA went to the table, as the growing GPU market and its increasingly complex technology put Intel at risk of violating NVIDIA’s patents. This was primarily over Intel’s IGPs, which eventually would run afoul of NVIDIA’s graphics patents. In return for NVIDIA licensing the necessary patents to Intel so that Intel could continue producing chipsets with IGPs, Intel in return would license to NVIDIA their front side bus (FSB) and future buses (e.g. DMI). This is what allowed NVIDIA to enter the Intel chipset market with the nForce 4 Intel Edition chipset and to continue providing chipsets and IGPs up through the current 320M chipset. Although Intel and NVIDIA have never been “close” in a business sense, the modern sabre-rattling between the two doesn’t start until around 2008. At the time NVIDIA was moving forward with CUDA and G80 in order to gain a foothold in the high margin HPC market, while at the same time Intel was moving forward with their similarly parallel x86-based Larrabee project. In the FTC case we saw the fallout of this, as the FTC charged Intel with misrepresenting Larrabee and for lack of better words badmouthing NVIDIA’s GPGPU products at the same time. As far as the Intel/NVIDIA license agreement is concerned however, it was the end of 2008 when events were set in to motion. 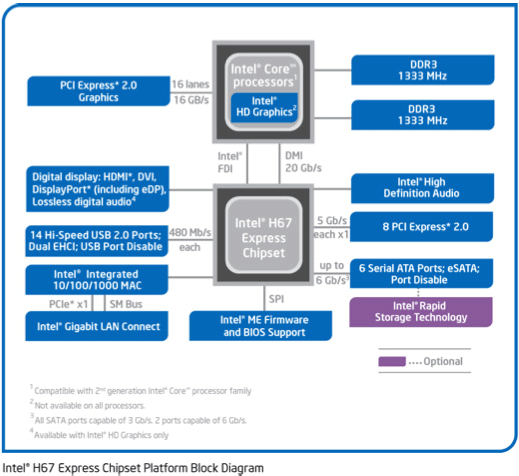 When Intel moved from the Conroe (Core 2) architecture to Nehalem (Core iX), they dropped the AGTL+ FSB in favor of two new buses: Quick Path Interconnect (QPI) for high-end desktop CPUs and workstations/servers, and extended the existing DMI bus from a Northbridge-Southbridge interconnect to a CPU-Southbridge interconnect as Intel integrated the Northbridge on-chip. Even though DMI had been around for a while, NVIDIA had never used it before as they used their own interconnect for early 2-chip chipsets, and later went to a single chip entirely. We don’t have access to the 2004 Intel/NVIDIA agreement, but what resulted is a dispute about just what NVIDIA’s half of the agreement covered. If you ask Intel, NVIDIA’s agreement only covers AGTL+, meaning NVIDIA would not be allowed to make chipsets for Nehalem generation CPUs. If you ask NVIDIA, Intel was playing games with the agreement’s language to lock NVIDIA out of the chipset market while still keeping the agreement in force so that Intel could continue producing IGPs. The end result is that in early 2009 the two parties filed suit against each other. Intel’s suit asked for the courts to affirm that NVIDIA did not have rights to DMI/QPI and that NVIDIA had breached the agreement by claiming they did have rights. NVIDIA’s suit in return was filed as a response to Intel’s suit, with NVIDIA claiming that Intel’s claim had no merit and that by doing so Intel was in violation. These suits have been ongoing up until today. The suits further branch out with the FTC’s suit. While filing their suit against Intel, NVIDIA also made formal complaints to the FTC, who was already building a cast against Intel for actions against AMD. The FTC included some of their complaints in their own suit, and when that was settled last year NVIDIA received some protections against potential Intel actions. For all practical purposes Intel is barred from making technical decisions that lock out 3rd party GPUs from their platforms for the next several years, enforced by requiring they continue to offer PCI-Express connectivity and at the same time barring Intel from making changes that would reduce GPU performance unless those changes specifically improve CPU performance. Thanks Ryan; very good synopsis. "Interestingly the agreement also classifies an “Intel Architecture Emulator” as being a proprietary product. At first glance this would seem to disallow NVIDIA from making an x86 emulator for any of their products, be it their GPU holdings or the newly announced Project Denver ARM CPU. . Being officially prohibited from emulating x86 could be a huge deal for Denver down the road depending on where NVIDIA goes with it." 1.8. 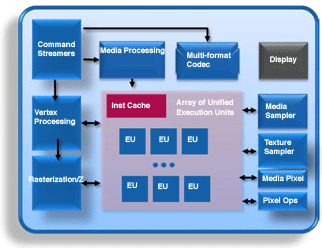 “Intel Architecture Emulator” shall mean software, firmware, or hardware that, through emulation, simulation or any other process, allows a computer or other device that does not contain an Intel Compatible Processor, or a processor that is not an Intel Compatible Processor, to execute binary code that is capable of being executed on an Intel Compatible Processor. 1.12. “Intel Compatible Processor” shall mean any Processor that (a) can perform substantially the same functions as an Intel Processor by compatibly executing or otherwise processing (i) a substantial portion of the instruction set of an Intel Processor or (ii) object code versions of applications or other software targeted to run on an Intel Processor, in order to achieve substantially the same result as an Intel Processor; or (b) is substantially compatible with an Intel Processor Bus. An interesting constraint, but IMHO likely to be at worst a mild speed bump. In 4-5 years we'll know better: maybe Nvidia will hit that constraint (IMHO doubtful as they'll have plenty of new workloads/apps); or the current trajectory will make it irrelevant (ok, we can't run your legacy x86 apps--who cares cuz we got plenty of other new and more important ones that people want). What does "x86 is still a superior product" mean? That the x86 ISA is superior? That processors using the X86 ISA are superior? That specific vendor implementations of x86 ISA are superior? Or what? And superior to what? We have an existence proof that x86 is demonstrably inferior in billions of cases. Otherwise why don't all those billions of routers, cell phones, microwave ovens, washers, dryers, refrigerators, cars, etc. use x86 instead of Z80, MIPS, ARM, etc. and their derivatives? I can't tell if vol7ron is being ironic, or authentic, but this is the kind of junk I'd expect nVidia to run into for consumers. With retrospect, I could see the mobile-ARM market as lucrative and still booming, and the opposite of the desktop-market. Seems to me that nVidia is wagering everything, that their GPGPU + ARM architecture would beat Intel's SoC solution in terms of power-usage and parallel computation throughput. But vol7ron brings up a good point, that the PC-users (and gamers) really only know of x86. 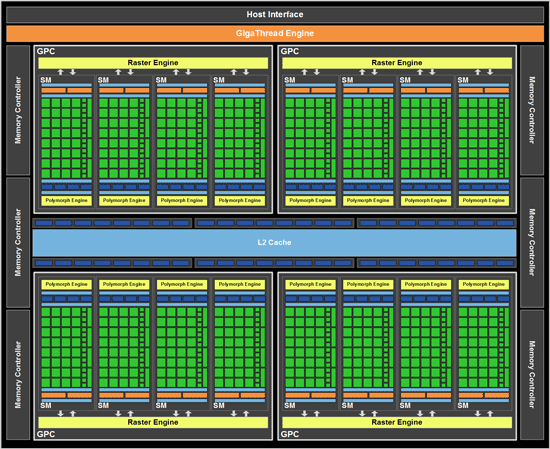 And it doesn't matter if there's a better architecture/SoC out there, because it doesn't run Starcraft/LabView/Fishbowl. Even with a library-blessing from Microsoft, an ARM+GPGPU system still might not be licensed to actually run what software people are locked to. The way the article is worded, it seems like NVIDIA didn't have much of a claim, but because Intel had problems with AMD, the FTC just threw them in there. Basically, it makes it seem like the FTC is the bad guy. Seriously, though, the payment to NVIDIA shouldn't be more than AMD's, but the good thing to note, is that it's not a lump sum, so the NPV isn't as high as it would be. As for the EU, I would say "F-them", even if it came at a cost. I'm getting sick and tired of the EU quibbles. The only reason they're stepping in is because they want a piece of the pie too. The settlement with AMD/NVIDIA should be enough. The Intel-AMD and Intel-Nvidia disputes are completely different animals. They are completely unrelated, and involve very different laws and jurisdictions. Intel-AMD dispute involvea monopolistic practices and restraint of trade, which necessarily involved the FTC/EU. Intel-Nvidia dispute is a straight contact/IP dispute AFAIK. Re-read the article if you're curious about how the FTC popped in. Ok, I get that the FTC was a lurker, and if Intel and Nvidia didn't settle, Nvidia might still goad the FTC into action to make life painful for Intel. What I would dispute is that the the FTC was much of a threat or substantially involved in this case, especially considering that the Nvidia-Intel spat preceded the FTC action (and was not initiated as part of an FTC complaint, although it subsequently contributed to it). The FTC effectively wemt MIA following the AMD settlement; as Ryan said "the FTC didn't get everything they wanted".